International travel is a truly invaluable experience. Exploring the world, seeing unfamiliar places, seeing the unique culture of the world and interacting with it – traveling throughout our great world really gives you an incredible sense of perspective. Chances are that, if you’ve ever gone through a long period of traveling internationally, it changed your life – for the better. Traveling broadens your horizons, and an incredible international trip truly is a life changing experience. But while traveling is a lot of fun, the day-to-day planning and logistics of planning a large international trip can make your head spin. It can be hard to organize all of the details required for an international trip – especially if you plan on visiting multiple countries that speak different languages, use different currencies, and all have their own unique set of problems to solve. Currencies, in particular, are difficult – especially when traveling in less-developed countries. You don’t want to convert too much cash into local currency, but running out of cash when you need it can be disastrous. And if you choose not to use your credit cards when traveling abroad, it can be difficult to bring enough money for your trip – and keep it safe while you move between airports, train stations, taxicabs, and other methods of transport. 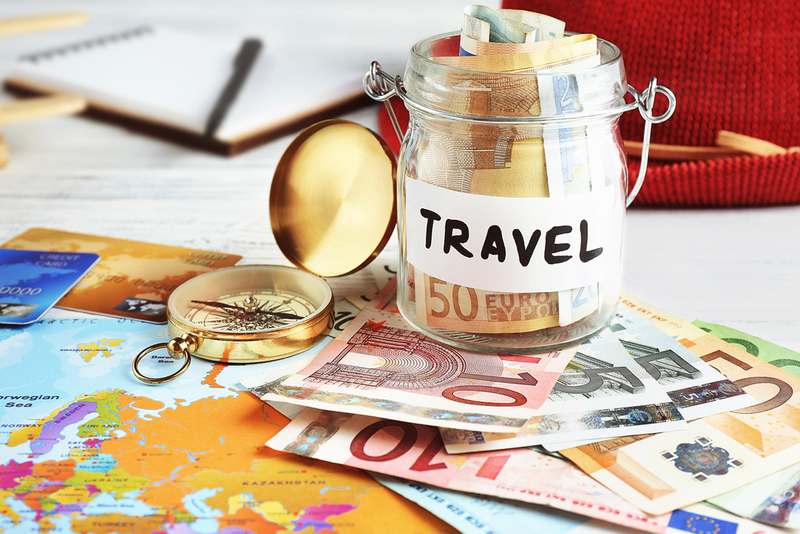 So what’s the best way to make sure you’ve got the cash you need when you’re traveling, but minimize your risk of losing your money? A prepaid travel gift card, of course! Today, there are two major prepaid travel gift cards on the market – the VISA TravelMoney card, and the MasterCard Travel Card. We’ll discuss both of these in the article below, as they share most of the same functionality and features. Prepaid travel gift cards are sort of a blend of a standard “open-loop” gift card, and a debit/credit card, and they offer a significant set of advantages that make them perfect for world travelers. Read on, and see why a VISA TravelMoney or MasterCard Travel Card could be the right choice for your next world trip! This is the first benefit of these travel gift cards – and it shouldn’t be overlooked. Credit card companies like VISA and MasterCard have become the “de facto” standard worldwide, even in less-developed countries. Chances are that if a merchant can process payments on credit cards, they’ll support VISA and MasterCard transactions. Your prepaid travel card can be used just like a debit card or a credit card at any of these terminals – complete with cashback options – and because MasterCard and VISA are accepted at more than 25 million merchants worldwide, it’ll always be easy to access your cash. Another reason this is important is because even in less-developed countries where cash is still king, you’ll often need a valid credit card in order to do things like make hotel reservations, rent cars, motorbikes, and other forms of transportation, and schedule tours or other activities. Prepaid travel gift cards can be used like a debit card to get cash back on any merchant transaction (as long as they allow it) – and they can also be used at most ATMs, meaning you’ll never be short of liquid cash. If you don’t have a prepaid travel gift card, you’ll often only have two choices when it comes to converting your cash into local currency. First, you can go to a professional money exchange – these companies specialize in converting foreign currency into local cash, and can often be found near airports, train stations, and other international travel locations. While these places are almost always legitimate and above-board, they often have long lines, meaning you’ll waste valuable time that you could be using to explore, sightsee, and enjoy your trip. Their exchange fees are also quite high compared to a bank, so while they’re more convenient, they’re also more costly. Your second option is to try to convert your currency at a local bank. Now, while this service is generally offered free of charge, you could encounter some serious language barriers, and you may have to do quite a bit of paperwork to convert your money into local currency. Because of this, prepaid travel gift cards are a much better alternative. You don’t have to wait in any lines – pop the card into the ATM terminal, get your cash, and get back in action! This is especially useful if you’re traveling between multiple countries that use different currencies in a short period of time. You’ll never have to worry about accidentally converting too much money into local currency. You can simply withdraw cash when you need it, instead of converting a large amount of money at once, and being left with useless cash once you travel to your next country. This makes it much easier to stay on budget when traveling internationally. You can keep your balance relatively low and add money on as necessary – and you won’t have to worry about accidental overdrafts, or incurring other fees if you spend too much. Just like an open-loop card, your card will simply be declined if you have insufficient funds to make a purchase. This means that you can spend freely, and know that you won’t have to worry about being slapped with huge fees or credit card bills once you finally get home. Both the VISA TravelMoney and MasterCard Travel Card provide plenty of flexible reloading options – and in our modern, always-connected world, you’ll be able to quickly and easily add cash to your card when you need it. These flexible cards can be loaded online through their respective card carrier’s websites, by phone, on your mobile device, in person at specific banking and wire transfer institutions, directly from your bank account, or even just by using a valid credit card or debit card. Because of this, you’ll never run out of ways to reload your card – and you can be sure that you’ll always be able to top up its balance, no matter what method you prefer. Both VISA and MasterCard offer zero liability policies that prevent cardholders from being held liable for fraudulent transactions made at merchants that accept their respective gift cards. As soon as you notice a fraudulent transaction, you can report it to the customer service hotline. Your card will be placed under a temporary block, and you will be refunded for the value of the purchase(s) made by a thief. Fraud isn’t always the only concern – in some countries, theft is a real concern. Prepaid travel gift cards protect you because they’re not tied directly to your bank accounts or credit card accounts – and this limits the damage that can be done to you by a potential thief. Credit cards can carry a lot of information about you – and if you lose your purse or wallet abroad, a thief may have everything they need to steal your identity. Prepaid travel gift cards help prevent damage to your credit score and financial records because, as mentioned above, they’re not tied directly to your financial accounts. This means that you’re less likely to be targeted for identity theft while abroad – and even if you do notice fraudulent charges, you’ll be totally protected, which gives you valuable peace of mind. One of the single biggest benefits of buying a prepaid travel gift cards is the ability to be in constant contact with your card issuer, and contact customer assistance in case something goes wrong. Both MasterCard and VISA offer 24-hour customer assistance internationally. By simply calling a toll-free voice number, you can quickly begin communicating with a customer service representative. If your card stops working, has been lost or stolen, or you’re experiencing any other issues, you can quickly get a handle on the situation, and take the appropriate next steps. It’s always good to know that you have someone on your side when you’re traveling – especially in an unfamiliar country. Day or night, you’ll always be able to get assistance when you need it. If you lose a traditional debit or credit card while traveling abroad, you’re pretty much out of luck. Most banks and card issuers are not going to be willing to send a replacement card overseas, and you will likely just have to figure out an alternative method of paying throughout the rest of your trip. This is not the end of the world, of course – but it can still make the rest of your trip quite a bit more difficult. However, because VISA and MasterCard prepaid travel cards are made specifically for world travelers, they both have robust replacement solutions in place, and are willing to send you a new card. However, the VISA TravelMoney card certainly wins the “convenience” contest. If your card is lost or stolen, you can call the 24-hour customer assistance hotline, and VISA will immediately place a block on your card, and begin the process of sending a replacement. The best part of this? They can send a new replacement card almost anywhere in the world within 1-2 business days – so even if you plan on traveling throughout multiple countries, you’ll usually be able to stick around until your new card arrives. And if you’re in a hurry and can’t afford to wait around, you’ve got another option. If you’ve lost your card, you can simply ask to “cash out” your card. Head to the nearest Western Union wire transfer station, and VISA will allow you to convert the full value of your remaining balance into cash. While cash may not be as convenient as a prepaid travel gift card, it’s good to know that you’ll always be able to use the full balance of your card – even if it’s lost or stolen. Prepaid Travel Gift Cards – A Fantastic Choice For World Travelers! The numerous advantages of prepaid travel gift cards make them a great choice for any world traveler who needs a flexible, convenient, and reliable form of payment. Of course, these features do come at a cost. Compared to traditional debit and credit cards – and even open-loop gift cards – the fees of prepaid travel gift cards are a bit high. You can expect to pay around 2-3% in foreign transaction fees for all purchases made outside of the US, and you may also have to pay fees to withdraw your currency at ATMs, to replace your card if it’s stolen, and to “cash out” the remaining balance of your card once you’re back in the United States. However, these fees still add up to a much lower overall cost than alternative methods of payment like traveler’s checks – and even if you’re planning on traveling while exclusively using cash, you’ll have to pay currency conversion fees. So even though you’ll pay a bit extra to use a prepaid travel gift card, it’s well worth the investment. Looking to raise a bit of cash for your next international trip? Why not sell your old, unwanted gift cards with EJ Gift Cards? That’s right! If you have valid gift cards sitting around collecting dust, we want to buy them! Dust off those old credit cards, head over to EJ Gift Cards, and enter the balance and other basic information about your card! We’ll give you a quote for the value of the card on the spot! We offer competitive rates – and we pay out via PayPal! So visit EJ Gift Cards today, and learn more about the selling process. We accept hundreds of different gift cards, and we make it easy to turn your unwanted cards into cash.